As parents, we all want the best for our children, and we also want our children to be the best. We want them to be good human beings, for them to have the qualities of kindness, humbleness, gratefulness and compassion among others. Children learn more by example than anything else. During the early stages of your little one’s life, your actions are his biggest teacher, and the more he finds you being kind, honest, respectful and grateful, the more he’ll automatically learn to do the same. There’s nothing better than team effort, even when it comes to acts of kindness. Look up some local organisations and shelters that need your help, or donation drives where you could donate, and have your child participate with you in them. Make kindness and love the predominant feelings of your day, not just with yourself, but with your family, and you’ll see how quickly that transforms not just your life, but that of your child. Whenever you respond to your child’s acts with love, your child will learn to do the same, and it’ll also strengthen his bond with you. Children respond wonderfully to storytelling, pick up some good books that have stories related to kindness and compassion, and sit down with your little one and read them together. This will not just help them learn these important values but it’ll also be a great way for the both of you to spend some quality time together. There’s a saying out there that highlights the importance of self care. It says ‘You can’t pour from an empty cup. Take care of yourself first’ and most of us tend to severely undervalue it. Find the time for yourself often, and practise self care. The more you are able to take care of yourself, the more you’ll be able to truly care for those around you, including your children. Encouraging children to help others at the early stage of life is also a great way to get them to be more kind. Not only will they become more proficient at tasks at home, but also be able to develop that underlying desire to help those around them. Start with simple tasks such as putting the plates on the table, putting his toys away etc. 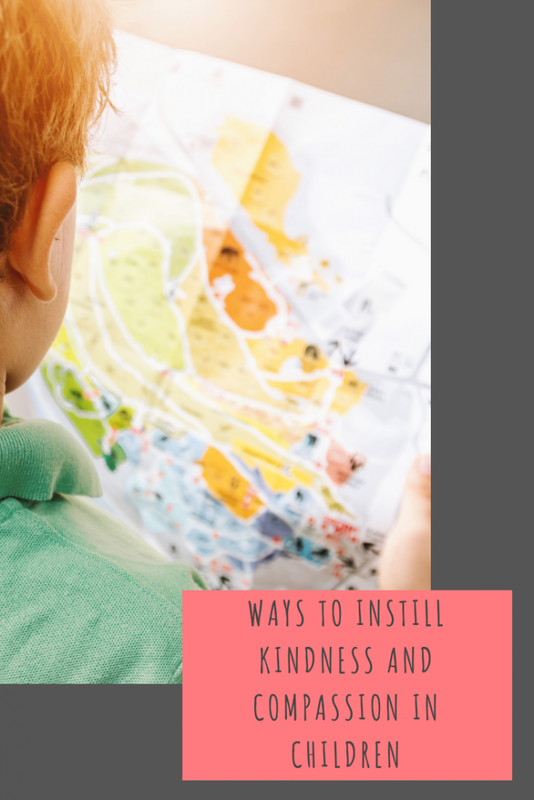 Research has shown that children pick up positivity more easily than adults do, and you can use just that to help guide your children towards developing kindness and compassion. Encourage them to look at things in a glass-half-full way and to greet everyone with a smile and take things easily. My children have been very concerned about the homeless people we have seen. We took turkey sandwiches to town with us after Christmas and they enjoyed handing them out. So important that children learn compassion. I wholeheartedly agree that we need to lead by example. This is such a great post and this is something I try to do with my bunch! It’s so important that they grow up to be compassionate and caring humans! We are currently in this stage with our toddler and trying to instill kindness, respect and patience. They certainly learn from those around them and pick th8ngs up quickly. I think looking for things you can help in the community sounds a perfect way to teach them life lessons. Children learn so much just from watching their parents, it’s so important to model kindness and compassion.